The December/January 2014 issue of Country Woman—the #1 lifestyle magazine for women who live in or long for the country—shares its special Handmade with Love Gift Feature. All images and instructions provided to Momsreview4you with permission from Country Woman. 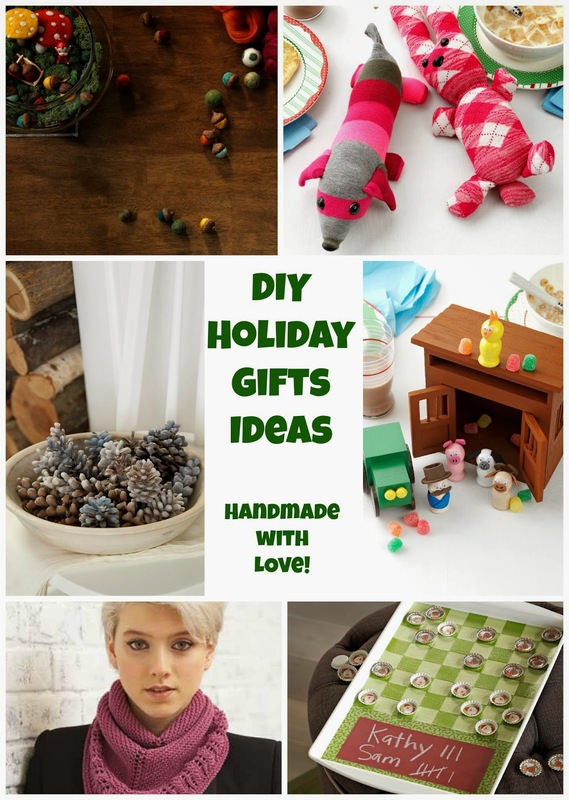 From adorable toys to chic accessories and home décor, these DIY presents are more personal than anything you’ll find in the mall and are sure to be a hit today and for generations to come. 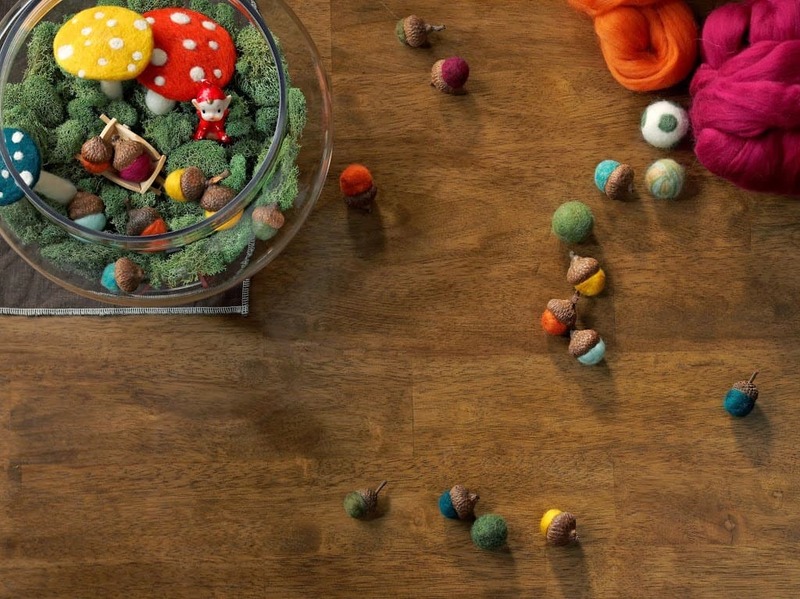 Adorable Felted Acorns—Quick and easy, these felted acorns are a natural to display in a clear vase, string into a garland, hang on a miniature tree or bunch atop gifts. Wherever you put them, they’ll get noticed! 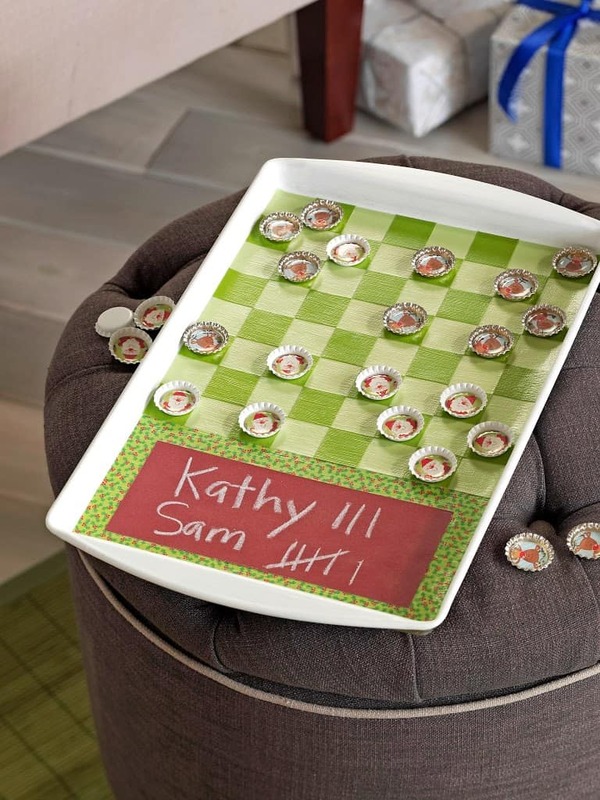 Cookie Sheet Checkers Set—Turn a cookie sheet into a checkerboard with a handy chalkboard to keep a running tally of games won. Bottle caps for game pieces plus a little colored cardstock and glue is all you really need for this customizable idea. Funny Finger Puppets—A little paint transforms ordinary wooden candle cups into farmer and animal finger puppets—a bull, sheep, pig and chick. 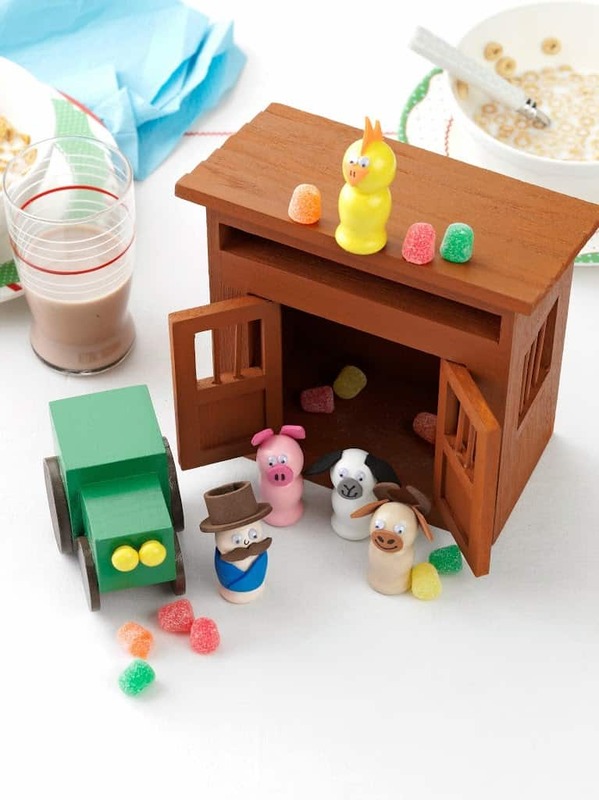 Add a barn and a tractor, and you’ve provided the basics for hours of imaginative play. 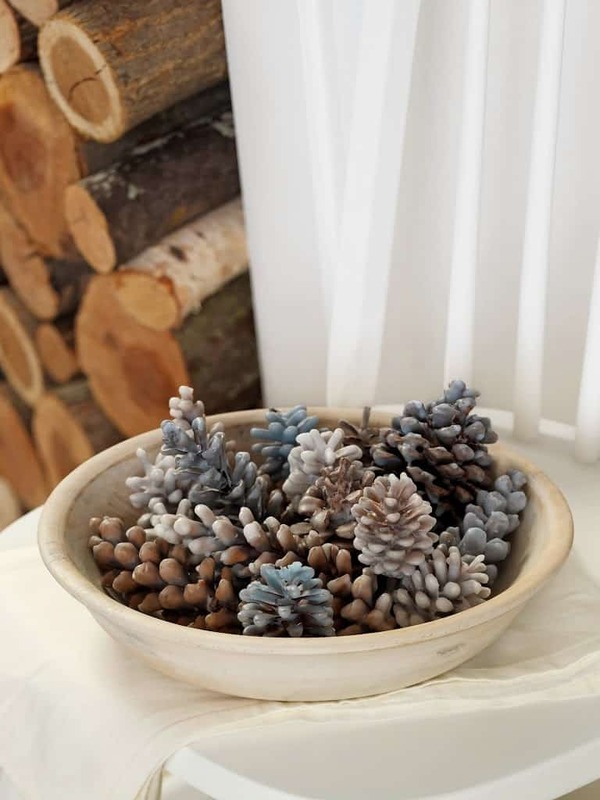 Pinecone Fire Starters—These are such a pretty way to get a cozy fire going—simply place a pinecone on your kindling and light a single scale. You can even pre-treat them to make colored flames with a few added ingredients. 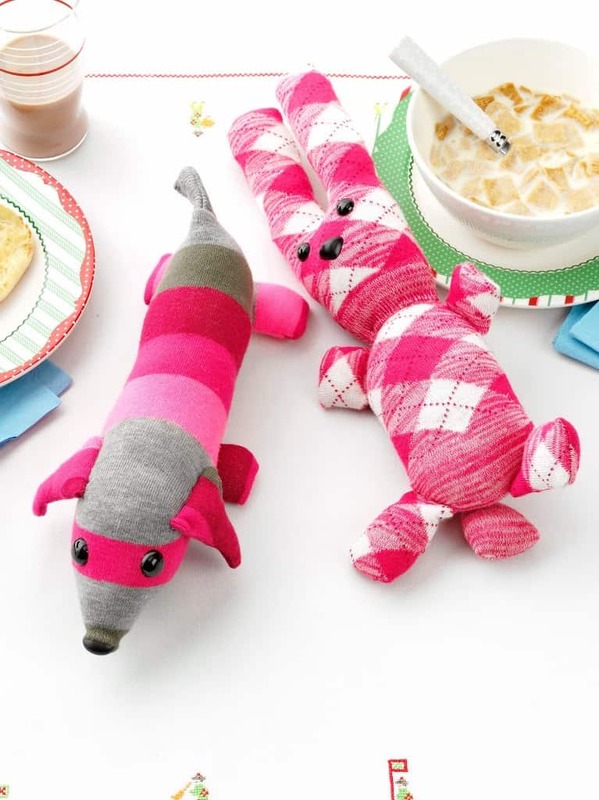 Cuddly Stuffed Sock Dog and Bunny—Soft enough for little kids to snuggle, these clever little critters are also offbeat enough to capture a teen’s heart. Their secret? Each is made from a colorful knee-high sock in an eye-catching pattern. And (this can be your secret) they’re easy enough for a beginner to put together—no advanced sewing skills required. Classy Knit Cowl—This beginner-level project from popular craft designer Vickie Howell is knit from the top center (The part closet to your clavicle bone if you wear it as shown) and consists of two small triangles that make one larger one. To avoid confusion, use a safety pin to mark the front of our project while knitting. For complete instructions for each of these projects can be found here.